Monsoon awakes the nature from a deep sleep and the whole dry land would be a lovely green coloured picturesque landscape. India is a land of superb scenic beauty, lush green forests, lovely valleys and wonderful waterfalls. Monsoon is one of the most beautiful seasons to explore the natural beauty, traditional cultures, and wildlife. Monsoon truly gives one of the best natural scenery; decorates the whole valleys with green trees and beautiful flowers. Spend time with nature and get the real feel of the beauties of nature. Simply come out of your cocoon of busy schedules and be ready with the weekend planning. You need not think so much because here is the satisfactory option for you which could be very near to Pune and is one of the top weekend gateways near Pune. Don’t waste time on questioning so much and come to Morachi Chincholi this weekend. Morachi Chincholi is the best tourist place near Pune. You can make your monsoon experience even greater by visiting ‘Morachi Chincholi’. It is the outstanding gateway from hectic town life. This is one of the beautiful places located deep inside rural Maharashtra. This place connects you with regular Maharashtrian rural life that you miss in the city areas. ‘Morachichincholi’ is the name of the village which is located in Pune – Ahmednagar highway. It is just 50 km away from Pune and is also at the convenient distance from Ahmednagar. This place is completely surrounded by different ways of the awesome shades of nature. Here, you can see the garden of various trees and many different types of flowers and shrubs. You can smell the odor of the agricultural lifestyles here and you’ll go closer to nature. This place is more wonderful than your expectations. 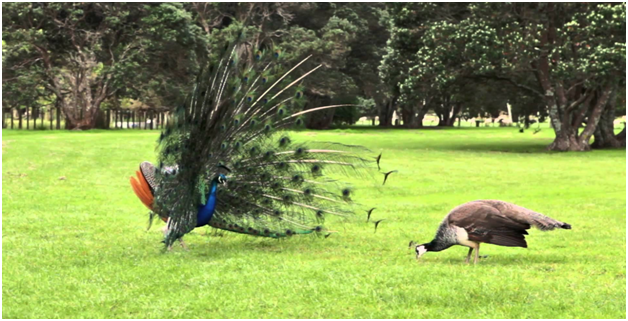 Here you can see the birds and especially peacock, spreading their colorful feathers around and dancing in the rain. You can enjoy the traditional culture with traditional food. 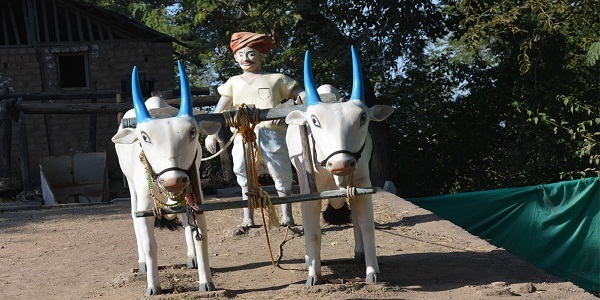 You can experience the tractor trips, bullock cart rides at this place. Various unique outdoor games are being organized and are played with full enthusiasm and power by the visitors. From Kho- Kho to hide-seek, you may play your favorite sport. Puppet shows and magical shows make your picnic a perfect one. You can enjoy rural evenings under dim lights of the Kandil and also experience the bonfire. If you are planning to stay then tent and cottages are available to make your stay a memorable experience. Visit Morachi Chincholi and make your weekend more memorable. A VISIT TO MORACHI CHINCHOLI, A PARADISE NEAR PUNE. Nature has been for me, for as long as I remember a source of solace, inspiration, adventure, and delight; a home, a teacher, a companion. On a Saturday morning, I decided to go for a holiday to a place surrounded by nature, as I wanted to escape the busy city life and go to a place where I could find peace in nature and enjoy the natural surroundings. I searched for Holiday places around Pune on the internet and found a true nature’s gem hidden in Maharashtra only 50 kilometres away from Pune. This place was Jay Malhar Krushi Paryatan also widely known as Morachi Chincholi. Morachi Chincholi by the name itself means a village of tamarind trees and a town of dancing peacocks. I was immediately excited to travel to this place as I always had a huge attraction towards our national bird Peacock. I started on my travel to Morachi Chincholi , the way to the place was exceptionally beautiful. It was completely outside the commotion of the city but yet situated so close to it. It took me only 2 hours to reach Morachi Chincholi from Pune by road. I was amazed to see the location; it was a very beautiful place which looked like a typical rural village had a grand entrance. When I entered the place the first thing I heard was the beautiful cry of a peacock calling his mate. I was very happy to be at such a wonderful place. The staff at the place was very helpful and friendly; they greeted me and offered me lunch which included Pure Veg Masawadi, Pital, Chuliwarchi bhakri, Mirchicha Thecha, Karalachi Chatani, Kadhi, Suki Bhaji, Chapati, Waran Bhat, Koshimbir, Lonche, Bobby and Buttermilk which was very tasty. The place was surrounded by greenery and there were tamarind trees everywhere. Also, they had large fields all over and took me on a bullock cart ride followed by tractor ride which was a first time experience for me, as I was born and raised in a city. There was a wonderful feeling while riding the bullock cart and the tractor. There were a couple of kids around playing rural games such as marbles, Gili danda who invited me to join them, this was a wonderful feeling as I got a chance to relive my childhood. After I joined them to visit the children’s playground where I watched them play on the slides and swings with the enthusiasm which made me miss my childhood days. I took a swim in the swimming pool later and got refreshed by having tea and pakodas. The weather was cloudy and it started to rain. I had my fingers crossed so I could spot at least one peacock spreading his wings and dancing with his might. Luckily I spotted three of them who got into the complete mood of dancing in the rain. It was the most beautiful thing that I had ever seen to spot this majestic bird dance with all their might. It felt like all my goals at Morachi Chincholi to see peacock dances were accomplished.I planned to stay over the night as it was raining and I didn’t feel like leaving the place. I took a cottage which was fairly priced and had a comfortable bed and many other facilities inside it. The staff invited me for having dinner which was extremely tasty and had a sweet dish as aam ras prepared with fresh mangoes from the area. Later, I joined a group of people who had organized a hurda party. Hurda Parties are parties held with bonfires where one can savour the flavours of roasted Jawar in their full sweetness. This was the first hurda party of my entire life and was a very joyful experience. I spent most of the night gazing stars as the sky cleared up. I had a sound sleep in my cottage that night. The cries of the birds woke me up early in the morning; I came out of my cottage and was amazed seeing the beautiful peacocks and peahens all over the place. I spent most of my morning admiring their beauty. Later, I went and had my breakfast and went to visit the fort museum which was another wonderful experience as the fort museum was full of interesting old artefacts. They also had astronaut’s world which was very exciting and informative for me. There was a magic show followed by a puppet show which filled me with joy. I purchased peacock feathers and tamarind sweets from the market inside as a souvenir of the place. I left the place in the evening with a heavy heart as it was hard to leave such a beautiful place. Morachi Chincholi was one of the best places I have ever visited so far, it was better than I could imagine it. I had a wonderful time at Morachi Chincholi and made many unforgettable memories. I would recommend Morachi Chincholi to all the people who are planning to go for a picnic with family or friends and to all the people who love bird watching. Morachi chincholi is a unique place which offers an extraordinarily wonderful experience with the profound beauty of nature and leaves the visitors speechless. Morachi Chincholi: Enjoy the freedom of fresh air & find peacocks everywhere! Pune is encompassed by number of beautiful areas. There are a lot of places which are perfect weekend destination near Pune. These end of the week doors ensure lovely experience to the travelers, searching for the best weekend spot around Pune. Distance from Morachi Chincholi to Pune is just 50 Km’s away & around 180 Km’s away from Mumbai. Morachi Chincholi is most well-known weekend destination spot for the travelers around Pune and Mumbai, since it encourages simple availability from both the spots. This place is rich with a lot of normally lovely scenes with pleasant fresh air; you can find beautiful peacocks everywhere and various activities for children’s & adults. This area has excellence of its own in all the distinctive seasons. Especially, with the onset of rainstorm, this place turns out to be much more sentimental. 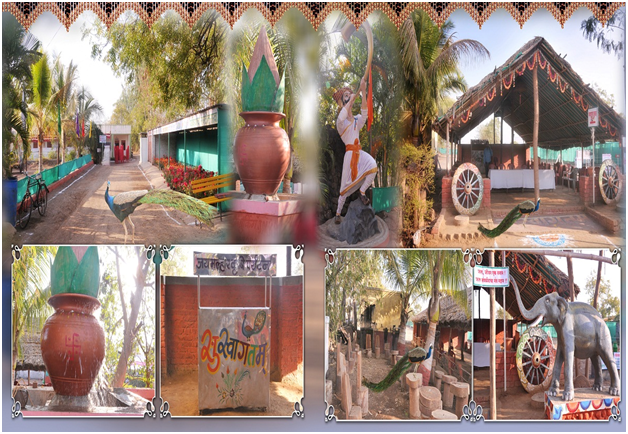 The visitor enjoy the bullock cart rides, tractor rides, rural games, various bird watching, Kandil nights party, outdoor games, camping and tent facilities in this area. This place is additionally famous as experience the Rustic Hurda parties. Hurda is considered as the staple grain of rural Maharashtra. December to January is the best time to enjoy this traditional hurda party in Maharashtra. Morachi Chincholi is a best destination spot that serves urban tourist with sweet and tasty jawar with great taste. In the month of January, Several agro tourism groups organize the Hurda Parties across the state. Morachi Chincholi is one of the best agro-tourism spot near Pune. Soon the school youngsters in each family unit will be free from exhausting days of school exams. 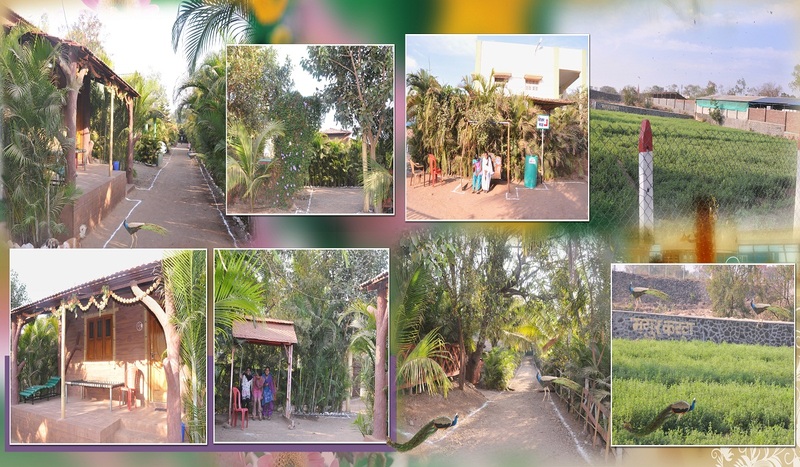 Morachi Chincholi is the place that gives an extraordinary learning knowledge to all youngsters, as should be obvious the differing qualities of ranch, other connected exercises on homesteads and can encounter the way of life of nearby villagers. Not simply kids, but rather grown-ups too are profited from such trips, particularly the flying creature watchers as it is a Natural peacock haven. Nature gives us everything in wealth. Our ordinary routine in the city, takes overwhelming toll of our energies. Clearly we are totally depleted out the extent that our force and essentialness is concerned. For Pune subjects tired of city dull, Morachi Chincholi offers fantastic chance to invigorate their energies and appeal. Morachi Chincholi is a standout amongst the most pleasant outing spots just on hour’s drive from Pune. The nature has favored this place with parcel of biodiversity. Morachi Chincholi, encompassed by greeneries & find beautiful peacocks with various different colors it feels us very fresh and energetic. This beautiful destination spot offers magnificent open door for experience sports. Come to appreciate this and significantly more stunning, at Morachi Chincholi. Morachi Chincholi gives extraordinary minutes to families and corporate houses who wish to arrange their social affair occasions, classes, meetings or trips to appreciate superb appeal of the nature. Morachi Chincholi is the best place to spend weekend time with friends and family. This is the best destinations to get relax, calm, cool, experience the feel of nature. The complete village is cover of agricultural farms with natural scenery and finds colorful peacocks & birds. At Morachi Chincholi, one can experience a perfect holiday that one deserves to enjoy with their loved ones in the sheer company of luxury that is untouched by nature! At Morachi Chincholi one can experience the beautiful culture of India.It also recognized as best agro tourism spot around Pune.